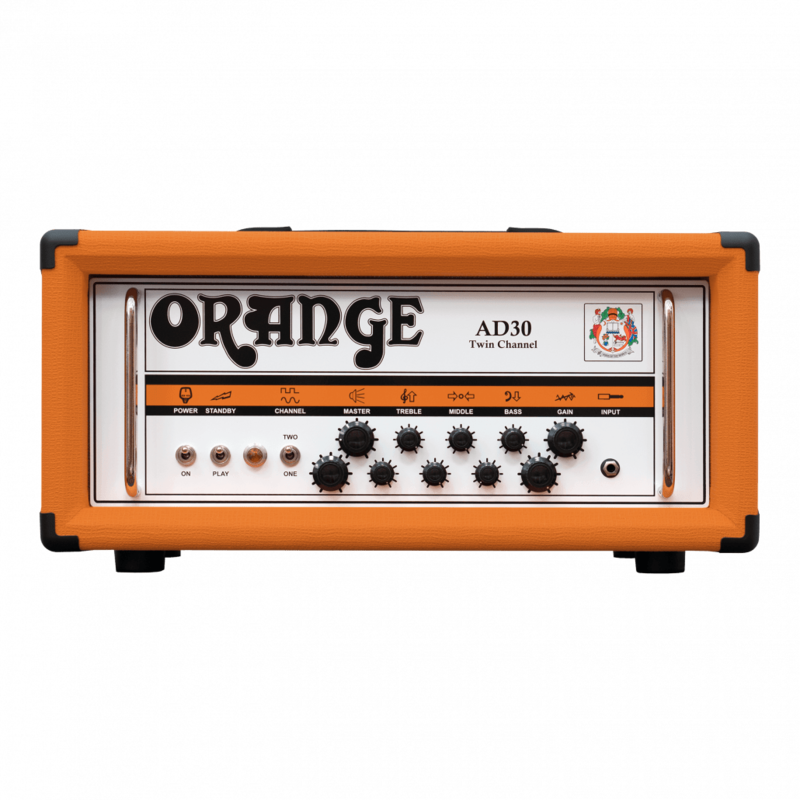 The AD30 is two vintage amps in one, made in England with classic Orange styling. The channels have two separate signal paths but are voiced differently. Channel One is the cleaner channel, with channel Two being the classic crank-it and go channel. With two stages of gain, the amplifier gives players power amp distortion, for that classic vintage tone. 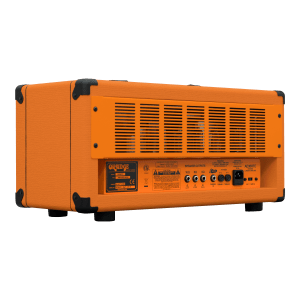 The valve rectifier is key to the amps sound, giving controlled natural compression in the power supply, making it perfect for country pickers through to indie artists. 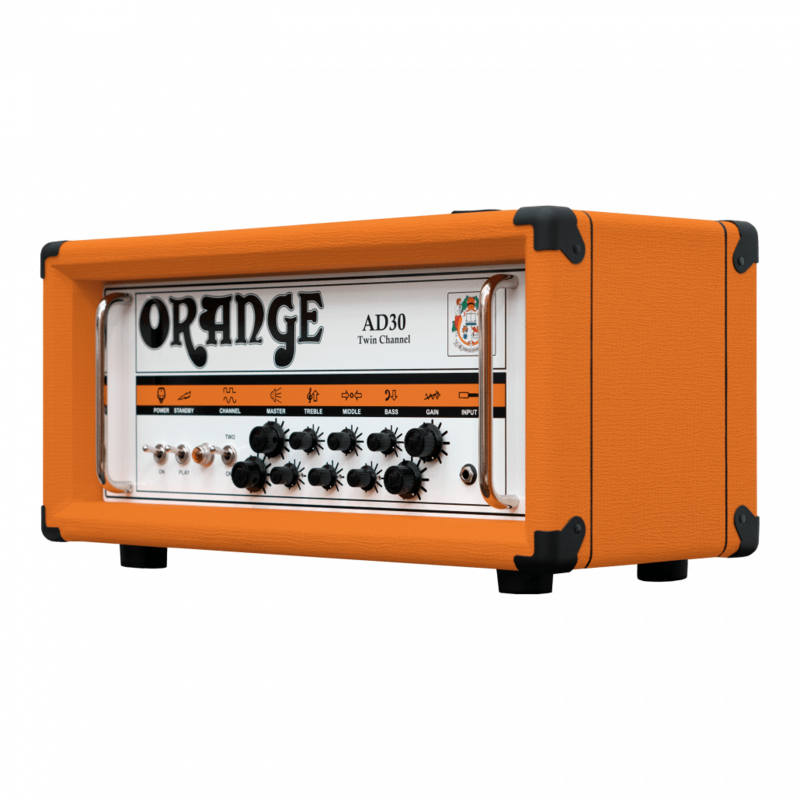 Custom British made hand-wired transformers made to Orange’s own specification, keep this amp Orange to the core. The AD30 is a classic, two channel British amplifier, you can set both channels to clean or both to crunch. It’s a versatile amplifier that has two completely separate signal paths, Channel One has a thick, creamy, classic voice. Whereas Channel Two has a tighter bass response, with more gain and a quicker attack. The GZ34 valve rectifier is key part of the AD30’s sound, giving natural compression in the power stage of the amplifier. Giving the amp a unique response and sag, reacting to how you dig into strings and play. 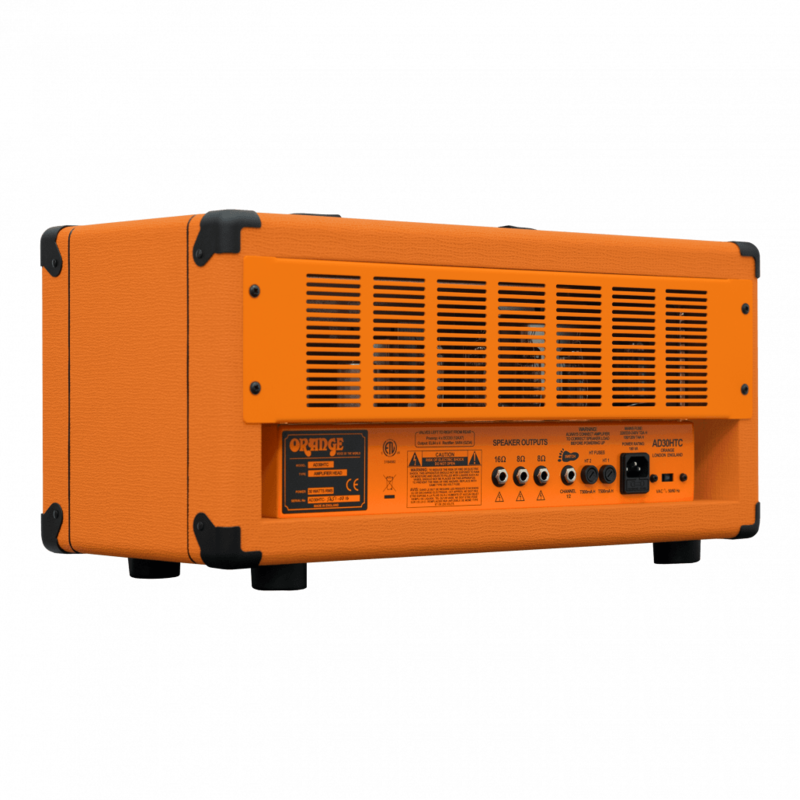 Redesigned for the AD30, the U.K. built, five section 30 Watt transformers, that saturates earlier and smoothly like vintage transformers. 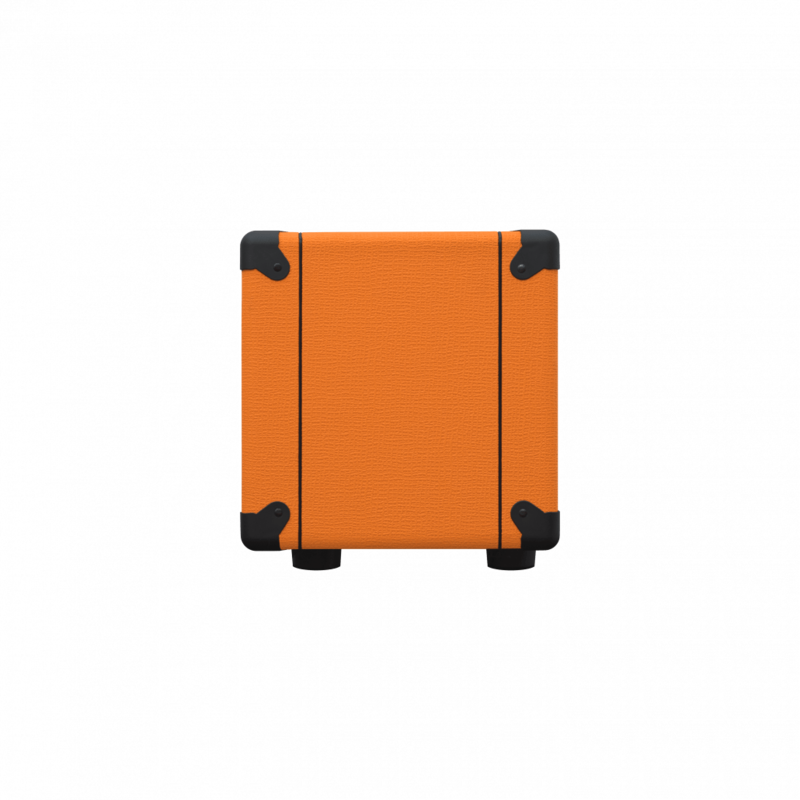 Over two years of development and several designs revisions these transformers have become the standard Orange transformer. The interesting thing about this amp is that it has two completely separate signal path pre-amps and the master volume is on both of those preamps. If they’re up to 10, they’re out of the circuit so they really are vintage amps. I use a Gibson Les Paul Studio with stock pickups and it sounds great. I play anything from Death Cab to The Fall Of Troy, but nothing too br00t4lz past that. It’s really great from Indie rock like arctic monkeys to doom metal like the sword. 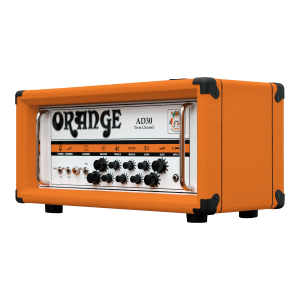 it’s as if Orange modeled it after a Vox AC-30 but gave it more grit. Doesn’t hiss when turned up. 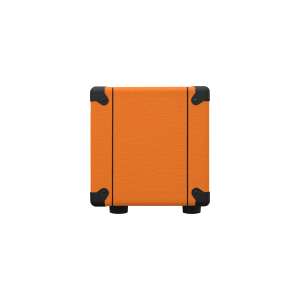 People seem to complain about Orange being a one trick pony and I dissagree because it cleans up really well and I can get many different clean and distorted sounds out of it with just the dry signal. 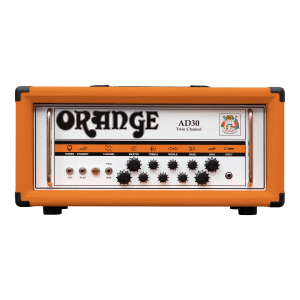 The Orange AD30TC has all the characteristics of the best boutique amps and sounds just as good, so why isn’t it better known? Jimmy Page used two AD30 heads at the Led Zeppelin reunion concerts in 2007 and you can’t get much more exposure than that, but here’s no getting away from the fact that modern hi-gain amps are taking centre stage at the moment, which is a shame, as the sensationally classic guitar tones that the AD30TC produces qualifies it for a piece of the action too. 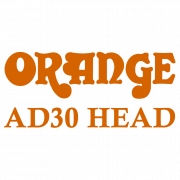 The AD 30 is an amp that is at home in subtle overdrive and fat rock territory… it offers great sounds for classic rock styles! James Bowman of Against Me!